The Boston area loves to celebrate Halloween. When people think of New England though or even Massachusetts Salem, Mass comes to mind as the epicenter of Halloween events in the area. Haunted Happenings events have been taking place all month and they are closing out the Halloween season with favorites like the Salem Witches’ Halloween Ball at the Hawthorne Hotel this evening through to Sunday night’s Halloween Finale Fireworks. You can find the full listing of the remaining events on the Haunted Happenings website. They even are offering an IPhone App to help you navigate through all of the information. 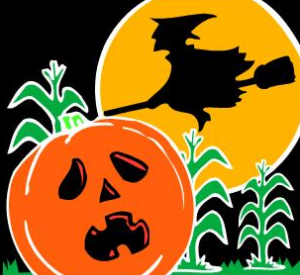 Though Salem offers great events through their Haunted Happenings events there are plenty of other things to do this weekend to get into the Halloween Spirit. The Boston Globe came out with their list of Halloween Events more tailored for adults. They include the annual GoreFest performances by ImprovBoston and a Ghost Cruise put on by the Mystery Cafe. For more information on those events and others that they recommend visit their list. I would add the Halloween Crawl that is taking place at Faneuil Hall on Saturday. Faneuil Hall is also having a Howl-oween Pet Parade on Saturday. Who doesn’t want to see pet’s dressed up in funny and cute costumes? If you still need more ideas about what to do this weekend we have posts from last year that may lead you to something you like, just check to see if they are still putting on those events this year.